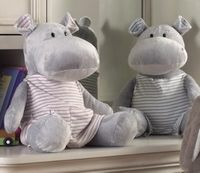 Home > Gifts for Babies & Children > Fuzzy Friends > Henry & Hillary Hippo--Now Available in Two Sizes! Hippo: Please Choose One HenrywithShortalls"Hillary with Dress Size: Please Choose OneSmall 10inch (-$12.00)Medium 18 inch Personalization: Please Choose OneNoneSingle InitialMonogramName Initial, Monogram, or Name: Font Type: Please Choose OneNoneDiamond (monogram)Circle Script (monogram)FishTail (monogram)Block8Block107Script10Script51EScript51A#15A Font#40 FontCurlyStacked(monogram) Block Stacked (monogram) Thread Color: Please Choose OneNoneRedOrangeYellowDark GreenLight GreenBlueLight BlueDark PurpleLight PurplePinkBlackBrown Who is this item for? Henry and Hillary Hippo are one of our newest additions to the growing Applesauce family! 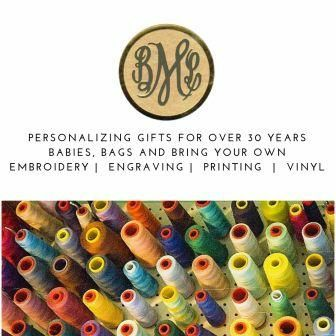 They arrive dressed in removable clothing - perfect for monogramming! Perfect big brother or big sister gift!